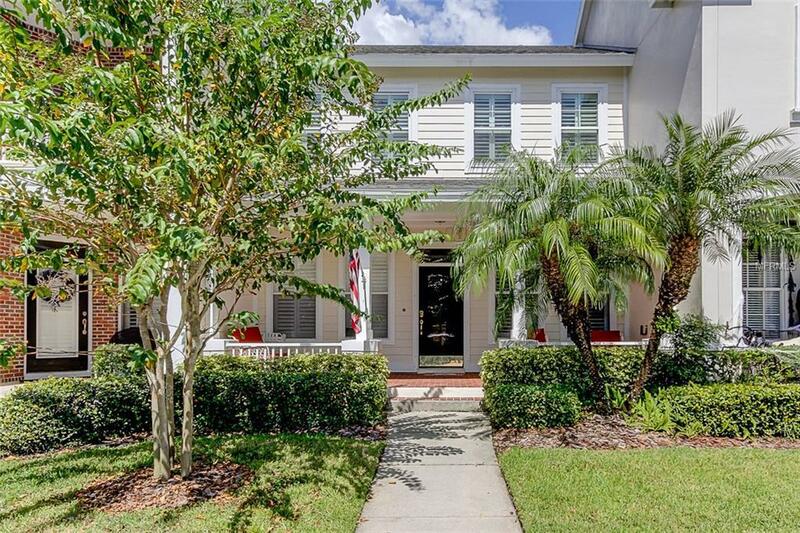 Nicely updated 4 bedroom townhouse in the highly desired West Park Village. Centrally located so you are right next to the community pools and tennis courts, and walking distance to all of the fine shops and restaurants in the neighborhood. In this beautiful townhome you have stainless steel appliances including a gas range, all less than two years old. Granite countertops and an elegant backsplash match well with the bright white cabinets and dark hardware. Crown molding flows throughout the home, along with new Plantation shutters. The fourth bedroom is on the first floor and can be used as an office. The upstairs flooring has been remodeled with hardwood and the A/C unit features a dual zone control. A/C is two years old. Roof and lawn are maintained by the HOA dues. The roof is scheduled to be replaced in April 2019, with no special assessment needed at this time. CDD is included in taxes.